The best night-vision crossbow scopes available today each significantly reduce the considerable danger inherent to hunting by the light of the moon. Stalking game takes on a thrilling new challenge under the cover of darkness. Quality optics represent any sportsman’s foremost means of remaining safely aware of what lies beyond the target. In certain instances, a quality scope may even save lives by exposing dangerous animals tracking their own prey as they cross your path. The moment you realize a 200-pound feral hog just trampled your toes in the darkness is far too late and far too close of quarters to stand a reasonable chance of not tripping its hair-trigger. The traits and features that set apart an exceptional rifle scope often differ almost oppositely from what denotes a worthy set of crossbow optics. For starters, we want reasonably low magnification. The higher a scope’s power, the more it tends to weigh. That extra mass will feel instantly cumbersome atop a typically lightweight crossbow and slow you down considerably. Dark, thick brush during nightly feeding time for local predators is no occasion for one’s reflexes to be a bit off. Also, the wider and clearer the sight picture, the better. Remember, you aren’t firing a tiny projectile that explodes from its muzzle at 2,500 feet per second or more. You might be aiming it like a long rifle or shotgun, but a crossbow is still a bow, not a firearm. In no particular order, I would stake my reputation on one of these five fine scopes being a perfect fit for you. Although several of these high-quality optics are indeed intended for use with firearms, rest assured both that they install rather easily onto a crossbow with just a few rudimentary modifications and that their overall profiles lend themselves well to just exactly what we need. For a scope that repurposes across a wealth of starkly different platforms with such ease, I found it impressive that the Sightmark Photon XT is a rare night-vision scope with a true crossbow reticle. Rare as that is in itself, I can’t recall seeing too many among that select company with not one, but two such reticles. One is calibrated for crossbows that fire at 320, 350, or 370 feet per second. The other is strictly for aiming shots fired from weapons rated for 400 feet per second or more. Don’t let the Photon XT’s length fool you. Its skinny dimensions keep its weight easily down to an appropriately low level – 30 percent lighter than competing scopes with roughly the same magnification, as a matter of fact – while still producing a surprisingly powerful 4.6x maximum magnification and crystal-clear field of view as far as 120 yards out. Night vision doesn’t usually lend itself to crafting optics with that kind of power, even if it would seem almost insultingly low for any other ordinary scope. It accommodates its impressive night vision with an appropriately long-lasting battery, too. Keep in mind, hunting at night with a crossbow will often drive you deep into brush. Unlike taking aim at a trophy mule deer from 300 yards across a Great Plains draw, powerful magnification will only have you leveling your reticle on a face-full of leaves and branches. The low power accompanying its sizable light-gobbling 42mm objective lens provides all the clarity anyone could ask for during the darkest nights afield. The Titanium’s built-in IR illuminator offers what amounts to an infrared flashlight that enhances its night vision. Acquiring targets with the illuminated red crosshair is about as easy as zeroing it. As icing on the cake, precious few scopes modify this easily. Its design accommodates the addition of a magnification-boosting double, a digital camera connection, and an IR laser, to name just a few upgrades. For a DIY crossbow fanatic, it is the first and last word in encouraging better performance through ingenuity. As greatly as I can easily appreciate a repertoire of unique features and adaptability, there will always be plenty to say for specialization. Leupold applied the legendary attributes that made them one of the most celebrated names in outdoor optics – namely, impeccable accuracy achieved without a resume of “trademark” extra features and the industry’s clearest, brightest glass – to the unique performance demands crossbow hunting lays on any scope by nature. In doing so, the Leupold Crossbones finds new ways to distinguish itself with a different take on the sport. Ratcheting magnification up to 7x with a 33mm objective lens defies the edict that 6x magnification is an unnecessary, ill-advised folly for a dedicated crossbow scope, but Leupold’s notoriously lightweight-but-superbly-tough aluminum bodywork allows the Crossbones to get away with it without carrying awkward excess ounces. Strangely, its magnification isn’t even the basis for its power selector. Instead, velocity is the basis for its adjustments, pairing the arrow’s distinctive ballistic profile to its exclusive reticle for a truly situationally optimized shot every time. The Aries Paladin is just one item in a wide range of night-vision optics produced by ATN. Weapon experts admire the Aries series for its versatility arguably above almost anything else. These scopes adapt beautifully to not only rifles and crossbows, but even machine guns. Ideally, our ideal scope won’t tack on unnecessary weight wasted on any higher than 6x magnification. That much power rarely creates the generous field of view we need. Provided you aren’t chest-deep in brush, the ATN Paladin’s 4x magnification should prove perfect for drawing down while hunting. Instead, our ideal scope needs a design biased toward a bright sight picture and drastically enhanced accuracy. The ATN Paladin’s 450 MW detachable IR illuminator might as well be a floodlight for the scope’s illuminated red reticle, which itself has its own adjustable brightness settings potent enough for the maximum level to be more uncomfortably bright than helpful. The also illuminator adjusts quickly and accurately for elevation and windage, a convenient complement to a clear sight picture that separates targets easily for minimal wasted time between aiming and actually shooting. Finally, we close with one more monumentally individual bird in an already-elite flock: the ATN ThOR, a fascinatingly uncommon all-digital night-vision optic. The ThOR’s five different reticle patterns each display in one of five designated colors on the the luminous OLED display. Whatever your target, there’s a particularly apt color and shape. Few scopes, if there are actually any others than can do so, equal the ThOR’s combination of digitally controlled reticles, magnification, and video output. The all-digital controls eliminate the timeless struggle against harsh and repeated recoil throwing off elevation and windage zeroes dialed in by spring-loaded turrets. 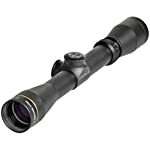 In addition to crossbow hunters, this scope is a model fit for private security and law enforcement duty. It is as remarkable a standalone night-vision system as it is a trustworthy addition to hunting or tactical weapons. The ATN ThOR doesn’t bother raising the outdoor optics bar. It creates a whole new pinnacle. Well, what do you think? Did we leave anything out? The best night-vision crossbow scope is ultimately the one that suits the way you shoot. Any of these could be trusted to never do you wrong, but let us know if you have any experience otherwise or if you have a favorite all your own that we failed to mention. All 5 are superceded by new models or just plain disontinued.